(04-01-2014 04:15 PM)Massimo Gnerucci Wrote: Aaaaand... here we go! I'm all for custom keyboards, myself. So long as the code works, re-arranging the functionality should be an option. Whether that means stick-on labels, or custom 3d moulded keys, depends on the budget of those doing the re-arranging. I've been thinking about this quite a bit lately. E-ink keycaps would be much better, but that is just a design concept, not an option. Actually if you look at their keycap idea (picture #4) and substitute e-paper for a piece of paper it works all the same and has to be way cheaper. Now, provide a sheet of printed keys, and a keyboard overlay construction set and you're done. I like the 2009 version. But in "shut up and take my money" form, I'd be just as happy with a variant of the prototype. Print out whatever esoteric layout I want, and slide in the case. Hey - beats breaking out the old Tamiya / Humbrol / Revell paints for labelling keys. The 'Current' one is growing on me. I am curious what Walter plans to put on the yellow-shifted number keys! Nothing, actually since you will do that. Remember USER mode? And yes, the 43S has a long history as mentioned here many times. Seriously, did you ever think about costs and sizes? After Xmas is before Xmas, I know, but with that we'd be in a different ballpark. What about something like Castar? This is no doubt "out there", but it is actually probably less expensive and easier to implement that dozens of tiny OLED displays. 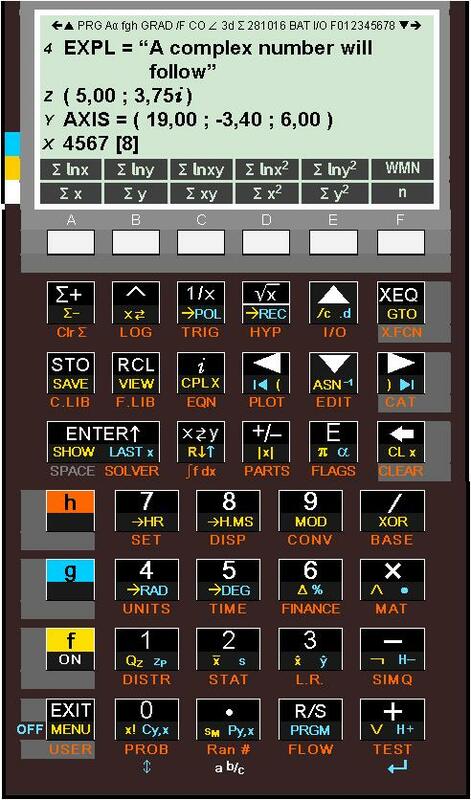 You would have a calculator with blank, retroreflective keys, necessary for proper haptic feedback. Castar would map custom labels onto the key surfaces that you can see. As your veiwpoint changes, Castar dynamically updates the view of the labels. (04-02-2014 01:19 PM)everettr Wrote: What about something like Castar? Sorry, but as a wearer of multi-focals, I'd pass on a system that requires another [different] set of glasses thank you. I have enough trouble trying to watch 3D movies, mashing the cinema-glasses over my coke-bottle lenses. The idea of needing to do that, every time I want to use a calculator keypad.... no, thanks. Seriously, did you ever think about costs and sizes? But those e-ink things mentioned by Manolo look really nice... I think I'm in love with anything e-inky. (04-02-2014 05:30 AM)sa-penguin Wrote: I like the 2009 version. (04-03-2014 12:43 AM)sa-penguin Wrote: Sorry, but as a wearer of multi-focals, I'd pass on a system that requires another [different] set of glasses thank you. How about blank keys, and have the entire faceplate (or at least the horizontal strips between keys) be e-ink or oled? (04-02-2014 07:35 AM)walter b Wrote: Seriously, did you ever think about costs and sizes? 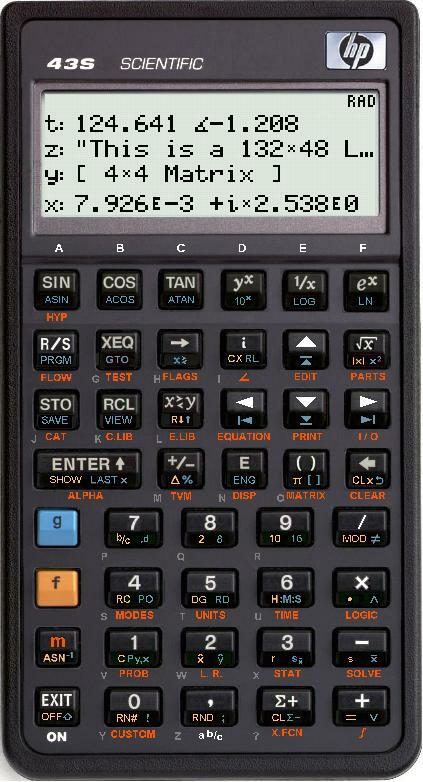 But whoever designs the case should please keep the overlay-concept of the HP-41 in mind. (04-05-2014 08:47 AM)anetzer Wrote: ... whoever designs the case should please keep the overlay-concept of the HP-41 in mind. Thanks for your reminder. That goes to our hardware department. Duly noted by the hardware department. Dealt with in the Laser-cut prototypes.